You can’t believe everything you hear. A lot of talk goes on in the workplace about workers’ compensation, either from your employer or from your coworkers. However, not everything you hear is true. So let’s set straight the top four workers’ compensation myths I run into. “I haven’t filled out any forms to backup my claim. My employer’s supposed to do that, right?” This is a big one: You and you alone are responsible for filling out and filing the necessary paperwork that goes along with your claim. You have five days from when you report your injury to your employer to report your injury to the Industrial Commission. No, you are not suing your employer. If anything, you’re suing your employer’s insurance company. But even then it’s not really suing. You’re filing a claim with the Industrial Commission, which oversees workman’s comp claims. There is no civil case. Instead it’s more of an administrative hearing process. However, that’s not to say there aren’t a lot of laws and regulations to abide by. That’s why it’s a good idea to work with an experienced attorney. Unfortunately, no. Workers’ compensation is in place to protect you against lost wages and medical expenses. It does not account for pain and suffering. Good news! This one is absolutely false. 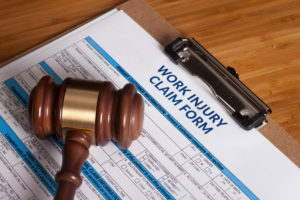 No matter who was at fault, you can claim workers’ comp benefits. The workers’ comp act is there to protect you from injury, not to punish you for mistakes. If you’ve been hurt at work, even if the accident was your fault, you should file a workman’s comp claim. If you have any more questions about workers’ comp and what it means to file for workers’ comp benefits, contact an experienced attorney.